The field is set for the Snapple Division II Girls Basketball Championships. 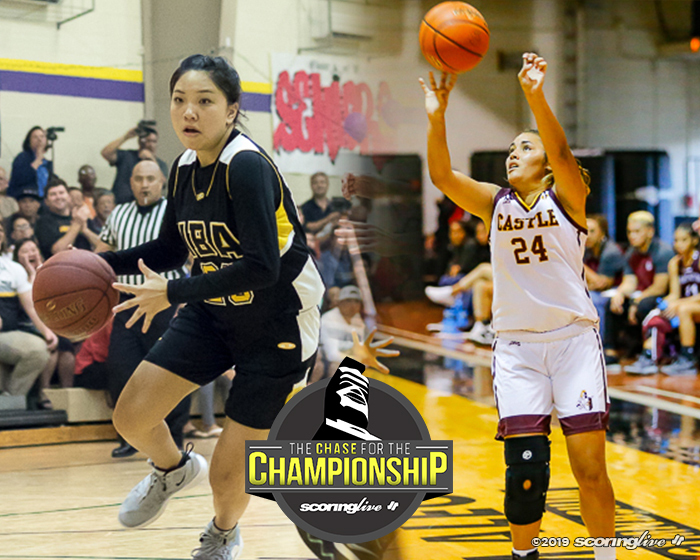 The 12-team state tournament begins Wednesday, Feb. 6 with first round games being held at Damien's Bishop Scanlan Gymnasium and Kalani's Earl C. Holmer Gymnasium. A different champion has been crowned in the past four years, with Kamehameha-Hawaii taking the title in 2018 after runner-up finishes in 2016 and 2017. The Warriors will have their cut out for them if they hope to repeat however. After getting hit hard by graduation, KS-Hawaii finished third in the BIIF and drew a first round matchup against a Hanalani team that pushed top-seeded Hawaii Baptist for the ILH title. 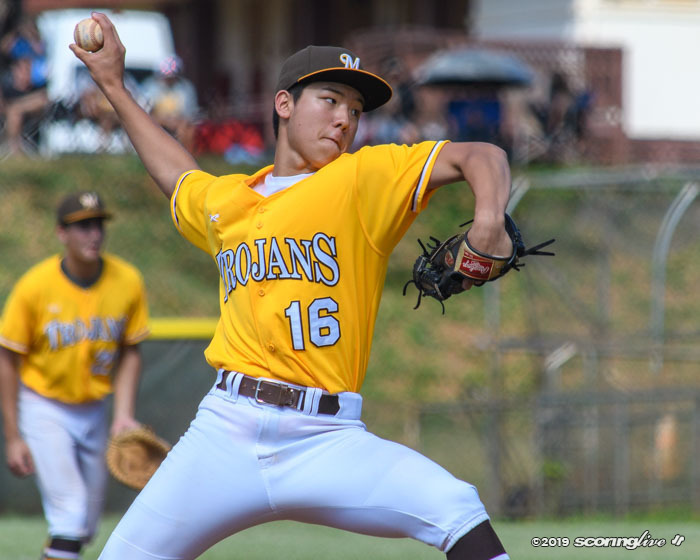 "That's not a team that I want to face in the state tournament," HBA assistant Alan Matsui said of Hanalani after the Eagles defeated the Royals on Jan. 17. In their championship win over Hanalani, the Eagles (22-6 overall, 12-1 ILH D2) jumped out to a 18-7 first quarter lead and a 34-17 lead at halftime. The Royals drew a lot of fouls against HBA, but a spirited effort by the Eagles' bench helped them maintain their lead in the first half. Zoe Lorica, a 5-foot-7 freshman, scored a season-high eight points in the first half alone and senior sixth-man Kyley Nakagawa was relentless in attacking the rim. HBA's Zoe Lorica boxes out Hanalani's Kira Matsuda in a Jan. 17 ILH D2 contest. "They came out really good. Those that were on the bench came out really good," said captain Sasha Phillip. "They just kept on scoring. That was awesome." Nakagawa also had a season-high in the win, with 16 points to lead all scorers. 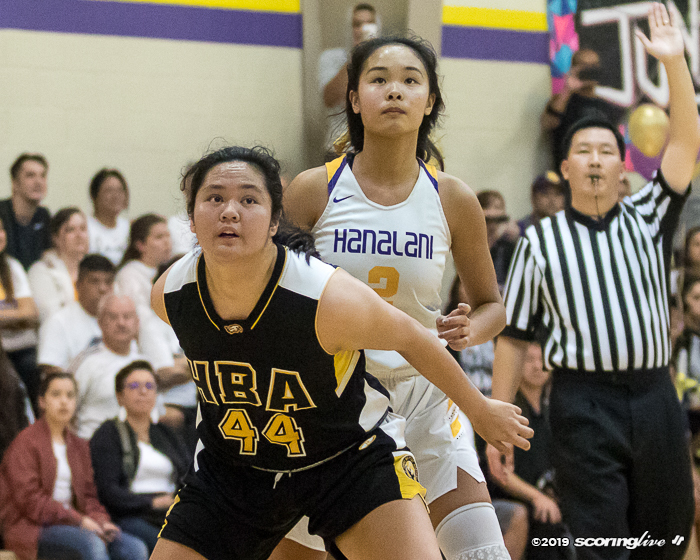 She also had two fourth quarter steals and made all of the Eagles' free throws, shooting 10-for-17 from the stripe to help HBA hold off a Hanalani team that drew within five points late in regulation. "We're not a great shooting team from the outside, so we plan on just going down hill at people and getting to the line because free throws we can shoot well," said Matsui. If anyone wants to see more shooting in the tournament, look no further than third-seeded Castle (15-11 overall, 7-6 league), who outlasted Farrington in a 63-52 overtime thriller to win its first OIA championship. Reilani Roller hit two triples in the last 32 seconds of the fourth quarter, one to bring the Knights within three points at the 31.9 mark and another to tie the game at the buzzer. Meleana Turner and Shayla Young also hit treys in overtime to help Castle deliver the knockout punch to the Governors. However, the Knights do take a while to get warmed up from distance. Roller was 0-for-6 from behind the arc before hitting her clutch shots and the Knights as a whole did not make a 3-pointer in the second and third quarters. Castle's Reilani Roller puts up a shot from behind the arc in the second half of the OIA Division II championship game against Farrington. "Yeah, that's how all my games go," said Roller. "I usually don't start off right at the beginning, but in the end I start to loosen up and start to make it." Castle coach Joe Lilio is aware of this fact, which is why his team employs a full-court press to force turnovers and get easy baskets. 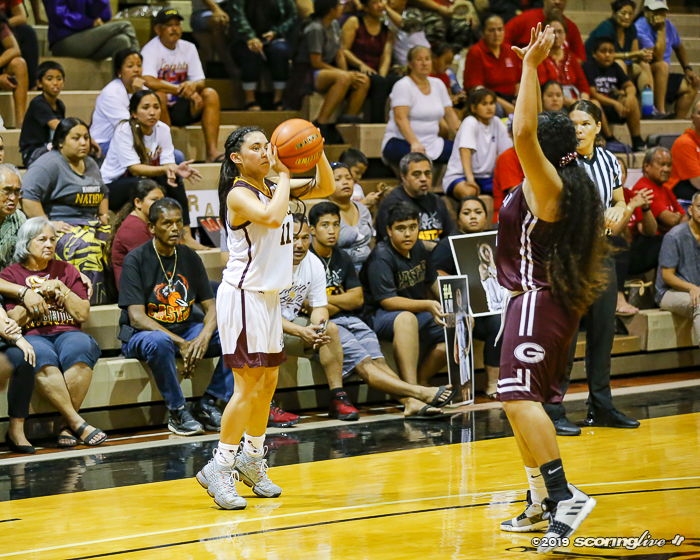 Shayla Young led the defensive effort with eight of the Knights' 18 steals as Farrington committed 38 total turnovers. "That's the only thing I'm afraid about this team, sometimes we're cold as ice," said Lilio. "That's the only thing that's going to kill us if we're not hitting open shots, so we try to press and get the momentum and get layups. If we making layups all the confidence goes up. Once one girl gets hot, they all start feeling it." Regardless, Lilio's team is looking to do more than just winning the OIA title. "We're not satisfied with that," he said. "The girls feel like they belong in Division I. They wanted to be a lot of the D1 teams." The Knights will host the winner between Hanalani (17-4 overall, 11-2 ILH D2) and KS-Hawaii (6-5) in the first game at Kalani on Thursday. The Royals are led by senior Keila Tsutsui (14.4 points per game), who is a rangy defender that can pick the pockets of smaller guards. Lishae Scanlan (11.8 PPG), a 5-foot-10 freshman forward, gives Hanalani a legitimate presence down low that most teams may have trouble with dealing with. KS-Hawaii junior guard Dominque Pacheco gives the Warriors veteran experience. Junior guard Dominque Pacheco is the most experienced player for the Warriors. She played heavy minutes off the bench for KS-Hawaii the past two seasons. Pacheco scored over 20 points a game multiple times during the BIIF season, which includes a 24-point performance with three 3-pointers in a win over Honokaa. 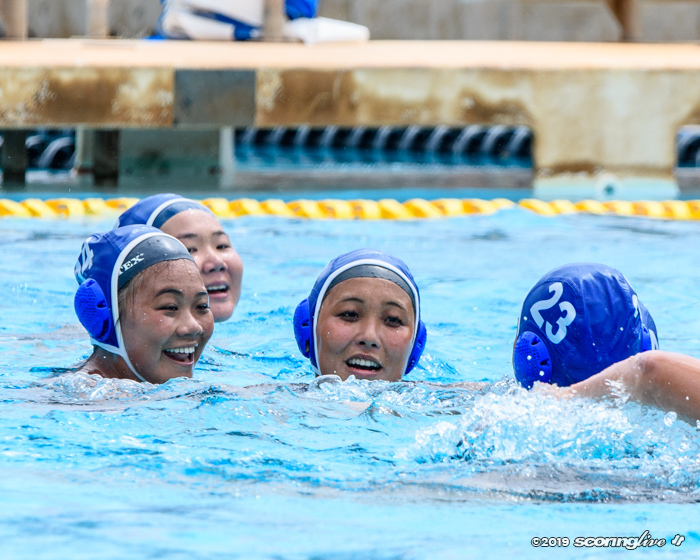 The Warriors' and Royals' matchup on Wednesday will follow the 5:00 p.m. contest at Kalani between BIIF runner-up Kau (5-7) and ILH third-place finisher University Lab (12-8 overall, 9-5 ILH D2). The Trojans have their own version of a "Big Three" with Reishalyn Jara, Kianie Medeiros-Dancel and Heidi Vidal frequently leading scorers in the box score. Jara had a double-double in the BIIF title game, Medeiros-Dancel is a defensive-minded player with a number of blocks and steals in the BIIF playoffs and Vidal is Kau's sharpshooter. University Lab was a young team a season ago, but grew into a contender in 2019 as the balanced Jr. Bows are responsible for handing the Eagles' their lone loss in league play. Sophomore point guard Tia Akasaki runs the show for University Lab. 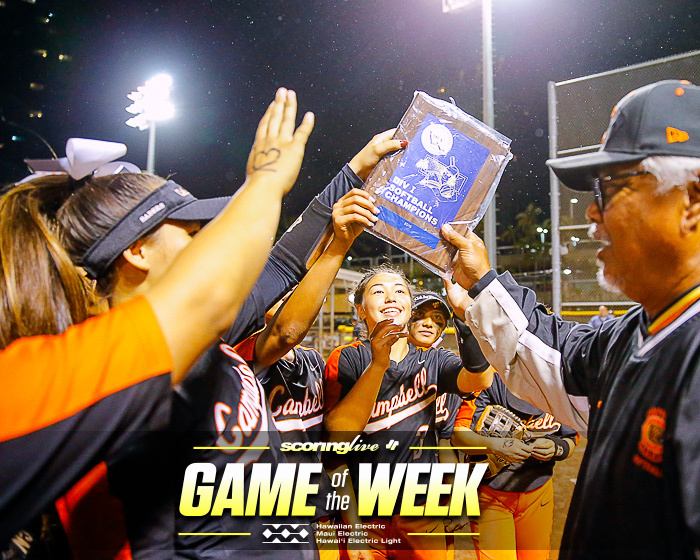 The winner between Kau and University will play second-seeded Seabury Hall (10-0 MIL) in the nightcap at Kalani on Thursday. Anaulei Tuivai (13.4 PPG), a 6-foot-1 junior center for Seabury Hall, might be the strongest post player in the tournament. Tuivai won MIL player of the year honors the past two years and played with the Lahainaluna travel team a couple of summers ago. 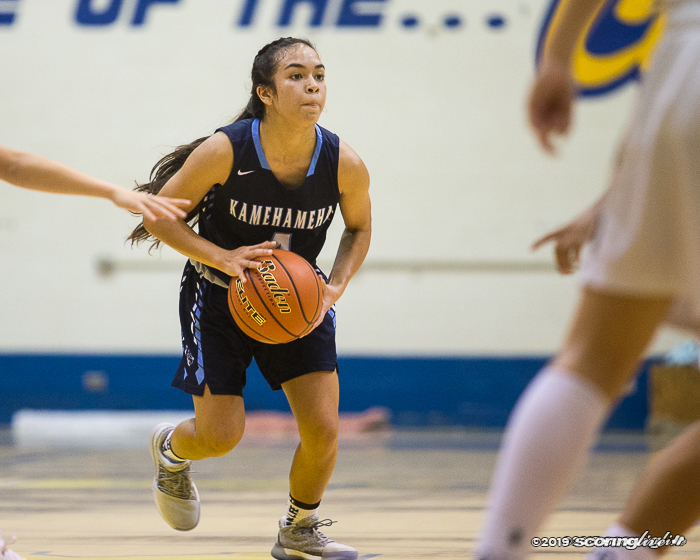 The first opening round game at Damien on Wednesday will feature KIF champion Waimea (10-3 KIF) against Waipahu (6-10 overall, 6-6 OIA), who finished third in the OIA. Kierstin Gummerus packs in all the points for the Menehunes. She is coming off a 32-point performance against Kapaa where she shot 19-for-24 from the free throw line. The Marauders might be the most well-rounded team in the tournament. 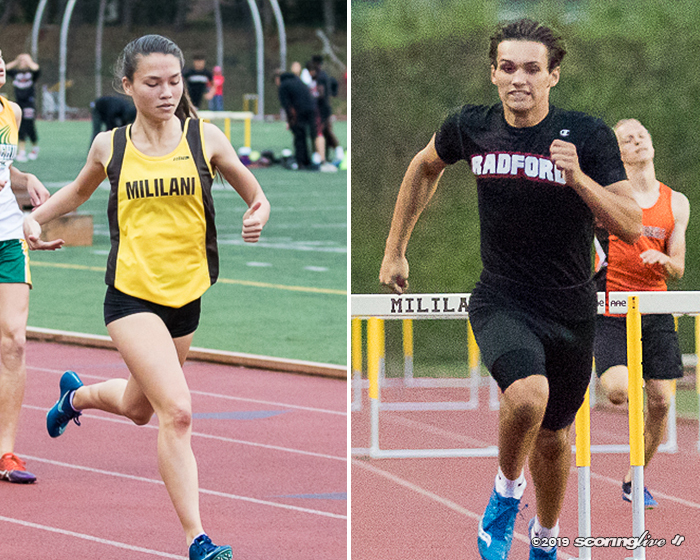 Anna Penitusi, Hunter Quemado and Elizabeth Kanaulu highlight their top scorers. Junior J'Anne Stewart-Neish is also an athletic player that received praise by league coaches and earned All-OIA Third Team honors a season ago. The winner between Waimea and Waipahu will face fourth-seeded Hawaii Prep (4-9) in the first quarterfinal game at Damien on Thursday. 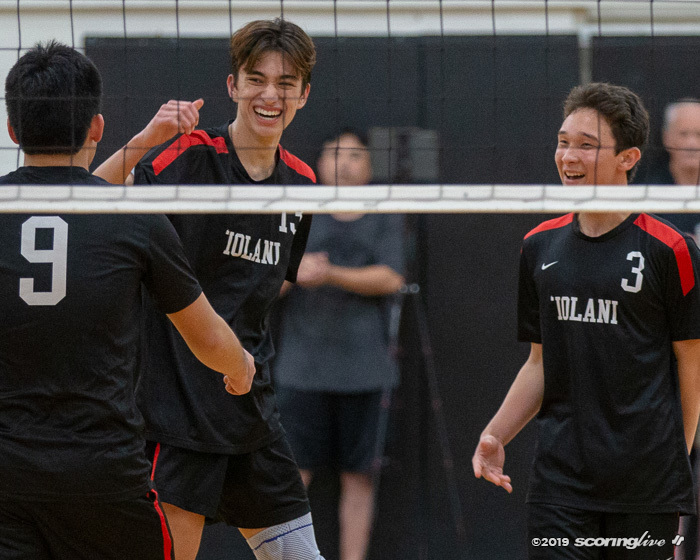 Ka Makani lost eight of their first nine games to open the season, but found their groove at the right time to win their first BIIF championship in over a decade. Maya Burdova did everything in HPA's title game win over Kau with 16 points, 10 rebounds and three made 3-pointers. Kaiulani Bento also contributed 11 boards in the win. In Ka Makani's semifinal win over KS-Hawaii, Kyana Brucelas recorded a double-double of 12 points and 12 boards. Junior Mariah Borce, a transfer from Moanalua, also provides big-game experience as she was a starter for a Na Menehune team that reached the OIA's D1 championship game a year ago. Top-seeded HBA will play in its first game of the tourney after Ka Makani's quarterfinal contest. The Eagles, who won their first state title in 2016, will await the winner between Farrington and Saint Francis, who plays in the second Wednesday game at Damien. The Governors (6-8 OIA) are not good with ball control, but they can hustle for second chance opportunities and will out-muscle most teams for physical buckets around the paint. Setita Prescott had her way in the OIA title game loss to the Knights, racking up 16 points with 13 rebounds. 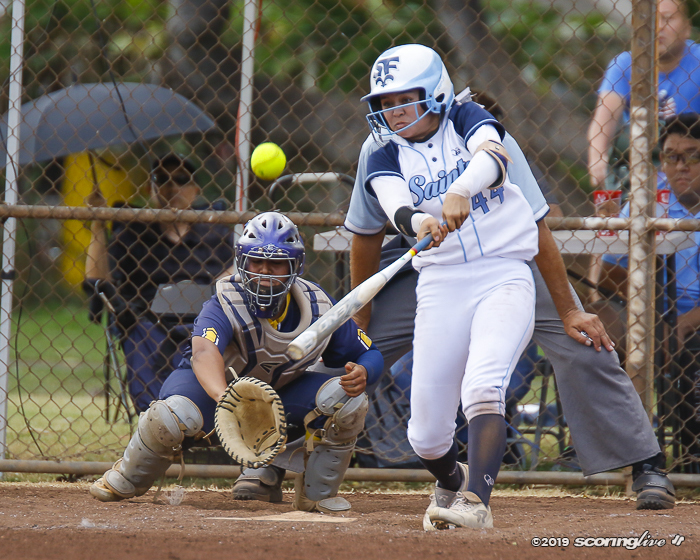 Saint Francis (9-8 overall) reached the state final in 2018, but lost a lot of key players to graduation and finished fourth in the ILH this year. Kawena Kalani poured in a career-high 25 points with three triples and Trisadee Kahunahana added 20 points to help the Saints clinch a state berth over Le Jardin. The state semifinals will be held at Damien on Friday while the championship game will be at the Stan Sheriff Center in a 5:00 p.m. game Saturday night.